Last night I got to witness an event I would have never expected. 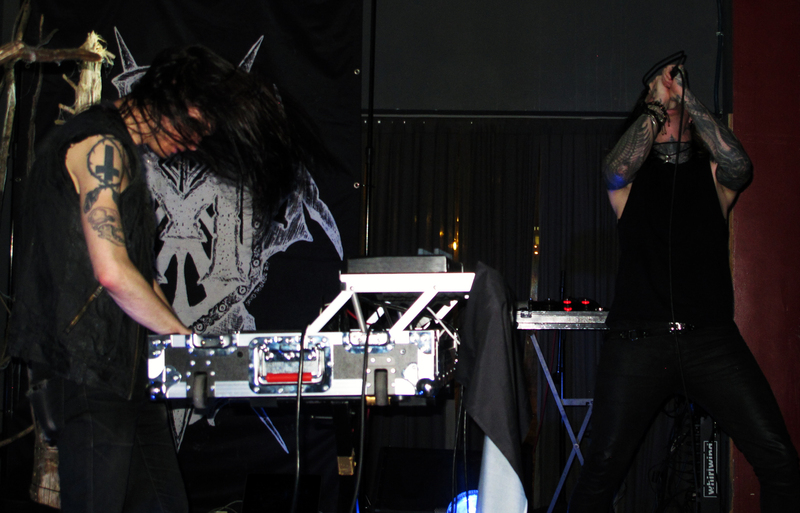 Mortiis, playing exclusively Era 1 material, in Baltimore Maryland! After the Cold Meat Industry festival in late 2017, I figured I’d missed out on a once in a lifetime experience. 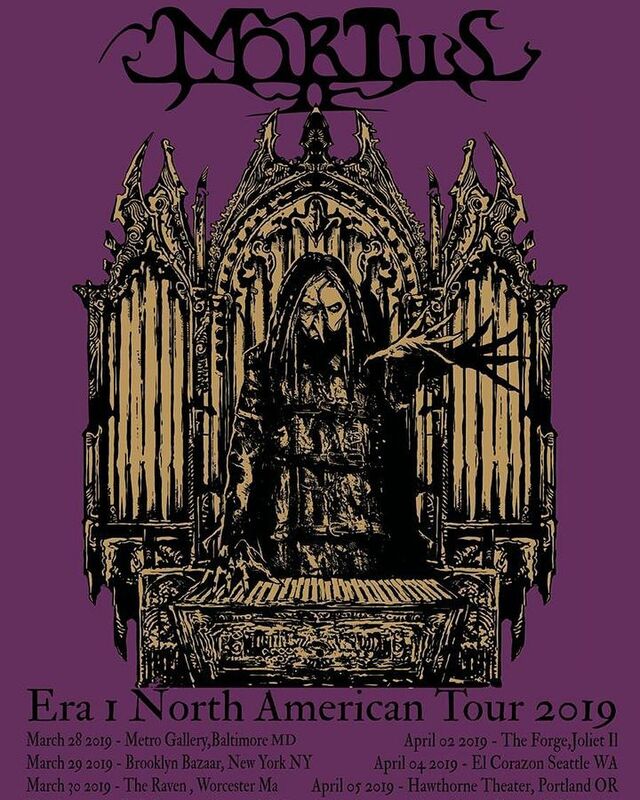 But Mortiis has been taking the Era 1 material on the road recently and it looks like his upcoming album will be a return to this style. There is a new music video in the Era 1 style (which you can watch below) and he’s just kicked off his U.S. tour playing this material! I don’t do much live coverage and I’m not a professional photographer. So take my account for what it’s worth. But I definitely wanted to share a few photos from my evening at the show last night, and to alert anyone in the relevant cities to the rest of this awesome tour! The venue was the small/medium sized Metro Gallery in Baltimore. This was my first time attending an event there, but the sound and setting were very fitting for the show. Before I get into the musicians that played last night, here’s the flyer for the tour and a link to the relevant Bandsintown.com webpage where you can find tickets to the rest of the events. The event was DJ’d by Letitia Gabrielle Getka a.k.a. 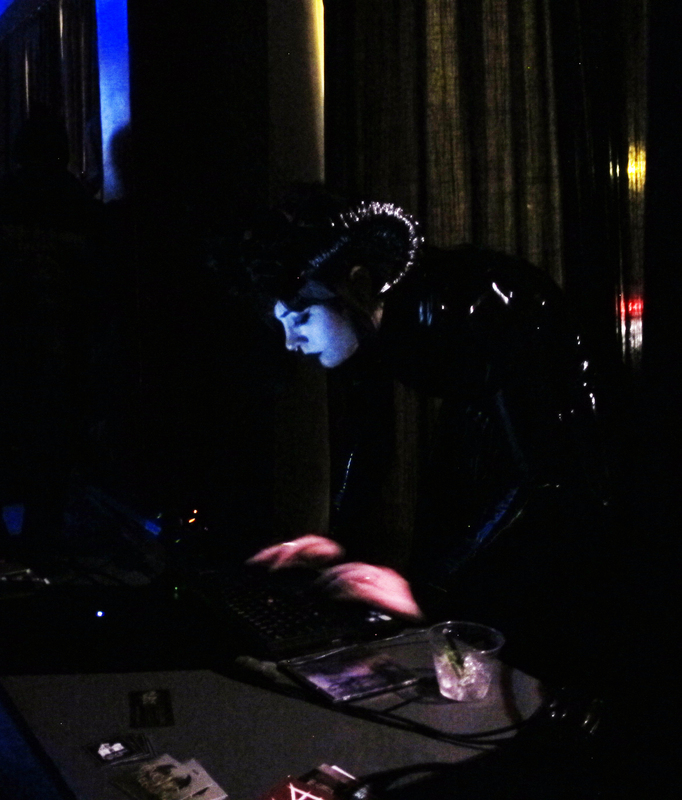 DJ Candy Corn, who started the evening off, and filled the void between sets with some proper dark dungeon music to keep the night moving appropriately. You can follow her on Instagram. 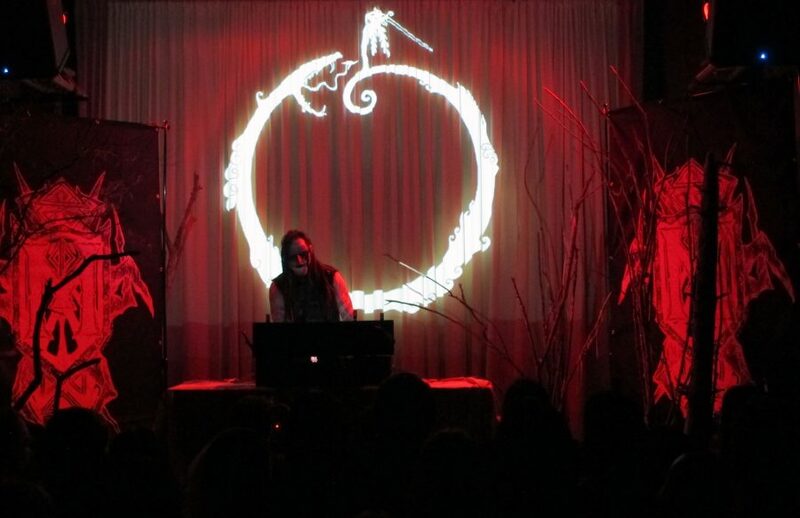 I was almost as pleased to see Mortiis as I was to finally meet and witness a performance by Dan Barrett as Worms of the Earth. 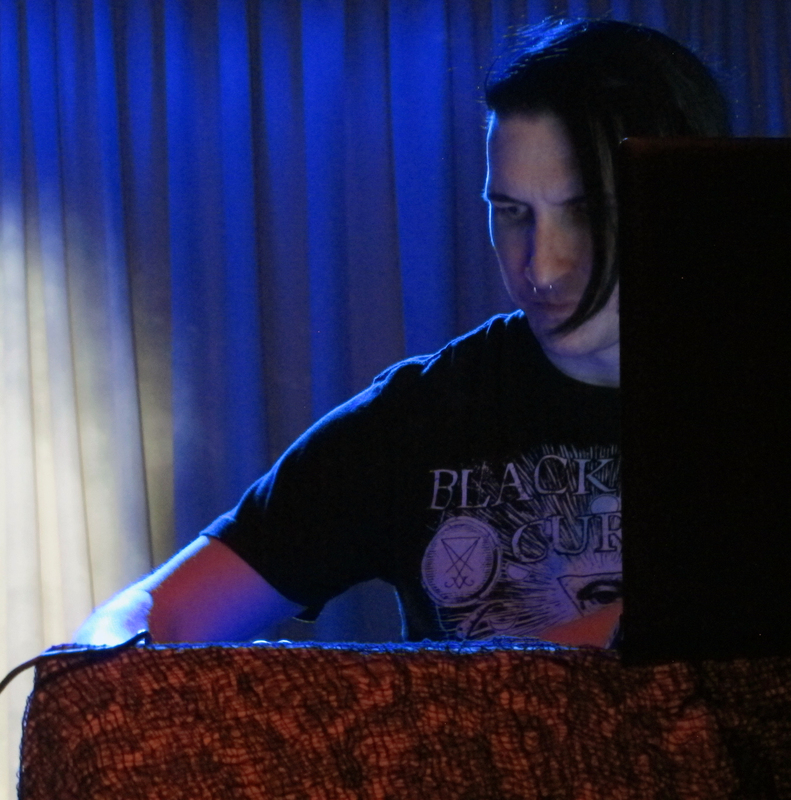 Dan is known through the dark ambient community for this project, as well as his wonderful zine Wounds of the Earth, which has been on a bit of a hiatus in recent years (hopefully not permanent, I always love to hear Dan’s opinion on recent releases!) Dan also releases music as Venal Flesh. Worms of the Earth has been a rather versatile project over the years. Having started as a mostly ritual dark ambient project, it has moved in recent years into a goa-trance direction. This was predominately the style that he played last night, which I really really loved! However, I’ll share a recent quote from Dan which points him back in the direction of dark ambient. You can also check out a (sorta) recent interview I did with Dan here. This was my first encounter with STATIQBLOOM, as they fall outside the realms of dark ambient. This post-industrial electronics project consists of Fade Kainer (also known for his work with Batillus and contributions to the Theologian album Pain of the Saints) who seemed to mainly cover the vocal duties, and Denman Anderson contributing a glorious controlled post-industrial electronic chaos. Mortiis delivered exactly what I was hoping to hear. A beautifully rendered set of tracks which all followed his Era 1 style, with classics from the Cold Meat Industry era as well as some new material from an upcoming album, which looks like it will be focused on the Era 1 style. Check out his latest music video for the track “Visions of an Ancient Future”, which was performed last night. At this point, anything I could really say about Mortiis here likely all of you will already know. So suffice to say, the performance was exquisite. The backdrops by David Thierree were perfect for capturing the dark dungeon and overall magical feel of the performance. 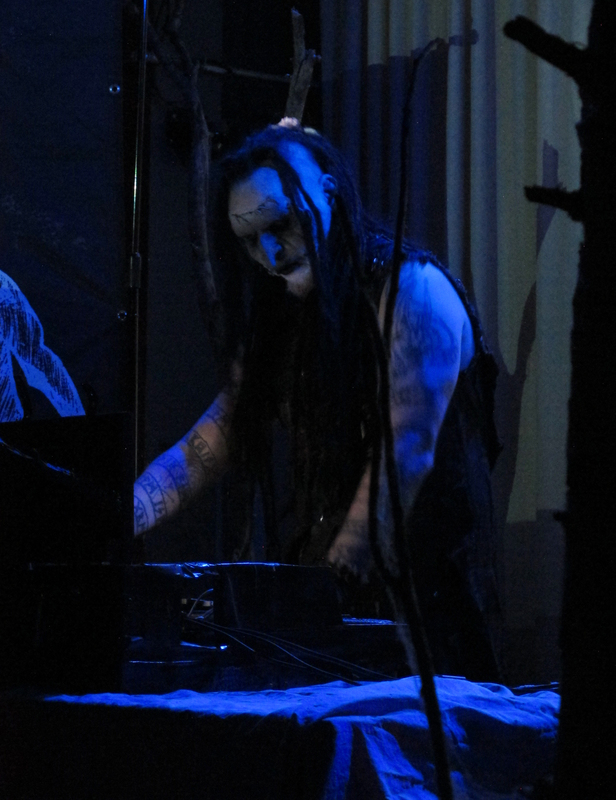 Mortiis has returned to old-form like he never left CMI! It was beyond heart-warming to see him fill a venue in Baltimore Maryland focusing on an Era 1 style that has seen two decades since most of this material was last highlighted. If you are in range of the upcoming performances, GO! 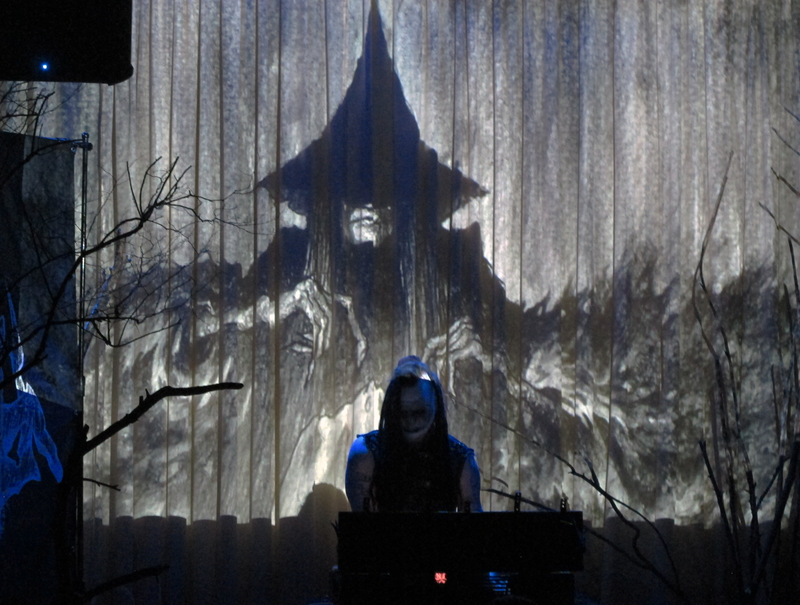 Check out the interview I recently conducted with Mortiis, focusing specifically on his Era 1 material.